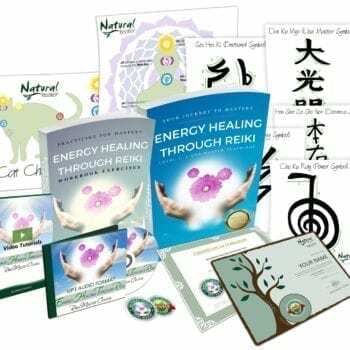 With Natural Healer’s Online Advanced Reiki Master Teacher Certification Course, you will learn all the essentials on how to become a true Master and build an easy, informative and memorable course for your students! Self-paced course that’s completely online – do it anytime, from anywhere! Course includes handbook + workbook (PDFs), 20 videos, 7 written articles, 1 final submission, and more! Prerequisites: This is advanced material, so you must be an existing certified Reiki Master for at least 6 months prior to being eligible to graduate from this course. An in-depth 39-page Reiki Master Teacher Course Handbook, including detailed steps on how to build your own course! 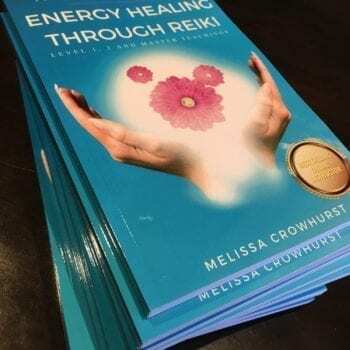 The Reiki Master Teacher Course – Exercise Workbook, which allows you to enter in your own experiences for the course’s case study requirements, as well as start piecing together all the components to run your own course! A lovely Advanced Reiki Master Teacher Certificate to display in your home or office! 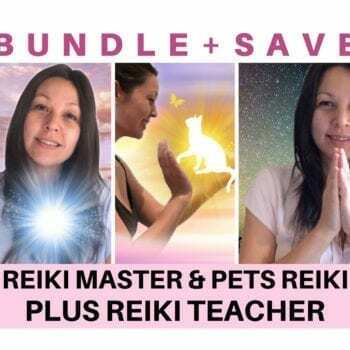 A Natural Healer Reiki Master Teacher Digital Badge to add to your emails, website and social media pages. Full Course Inclusions - Over $400 in value for only $154! Melissa's insightful Advanced Reiki Master Teacher framework and guidance - you'll be an intuitive and confident Reiki Master Teacher upon completion! An in-depth 39-page Reiki Master Teacher Course Handbook, including detailed steps on how to build your own course! Melissa considers a wide variety of factors to help you think about the best way to build your own course! She even gives you examples (listed in the bonuses below) to help you get off the starting block! The Reiki Master Teacher Course - Exercise Workbook, which is an essential component to this course! It allows you to enter in your own experiences for the course's case study requirements, as well as start piecing together all the components to run your own course! Lovely Advanced Reiki Master Teacher Certificate to display in your home or office! Lifetime access to the Online Student Platform which includes 29 video tutorials (a total of 1.5 hours of video) with closed captioning available, to bolster your learning! Self-pacing so take as long as you need! An example Energy Healing Client Intake Form (.docx) for you to use yourself, or to provide to your students! My Restful Sleep Meditation (MP3) to gain the rejuvenation and regeneration you require as a healer and Teacher. My Divine Dusk Meditation Audio (MP3) to help relax you as you go through this journey to become a Teacher! A Crystal Healing eBook to further enhance your new skills with the power of crystals (PDF). Melissa's Powerful Self Healing in 5 Simple Steps eBook (PDF). A 5-Minute Stress Relief Meditation Audio (MP3) to help calm your busy mind as you build your course! Be at the Reiki Master level for a minimum of 6 months prior to completing this course. In person and distance Reiki healing sessions and attunements. Please note: Since you must already be a Reiki Master to complete this course (as such, you have previously received all the required Reiki attunements), there is no attunement given as part of this course. If your passion is to help and teach others then this Reiki Master Teacher Certification course is going to help you spread your wings and fly! Simply click the add to cart button to get started! You can check out our FAQ and refund policy here; or to reach out and contact us here anytime! Thank you Mellisa for all of your help and guidance through the 3 courses that I have done. All of the material is well laid out and easy to follow and I look forward to an ongoing relationship and the quest to help others. Thank you so much again my friend.